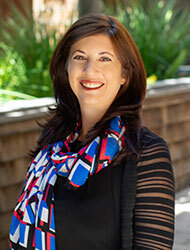 MHI :: PASADENA :: STAFF :: Elizabeth Jane Ledbetter, Psy.D. Dr. Ledbetter is a licensed clinical psychologist who earned her doctorate in clinical psychology from Pepperdine University. She has worked in community mental healthcare and private practice settings providing individual, family, and group psychotherapy, as well as conducting psychological and neuropsychological testing with clients of all ages. Additionally, she has taught graduate courses in psychological assessment and neuropsychology. Dr. Ledbetter’s interests also include utilizing adjunctive and experiential therapeutic interventions, such as Equine-Assisted Psychotherapy, which employs horses as partners in the therapeutic process. Dr. Ledbetter specializes in conducting psychological and neuropsychological testing to clarify psychiatric and neurodevelopmental diagnoses, and to tailor mental health treatment to the individual’s unique presentation of symptoms and cognitive abilities. She assesses the client’s basic cognitive and neuropsychological functioning, in addition to their personality, emotional, adaptive, social, and educational/occupational functioning, to identify psychiatric and/or developmental issues that impact the client’s ability to succeed at school, work, home, and in mental health treatment. Dr. Ledbetter develops and outlines specific recommendations in her assessment reports for parents and caregivers, treatment providers, and educators. In her therapeutic work with children and adolescents, Dr. Ledbetter applies a client-centered, humanistic approach while also integrating therapeutic techniques designed to accommodate existing neuropsychological and developmental issues. She is trained in Cognitive-Behavioral Therapy (CBT), Dialectical Behavior Therapy (DBT), and Trauma-Focused Cognitive-Behavioral Therapy (TF-CBT).